For the record: I am ambidextrous but favour the right hand purely due to that being the way most things are structured. Also a li’l dyslexic so everything is a directional fustercluck up in here. 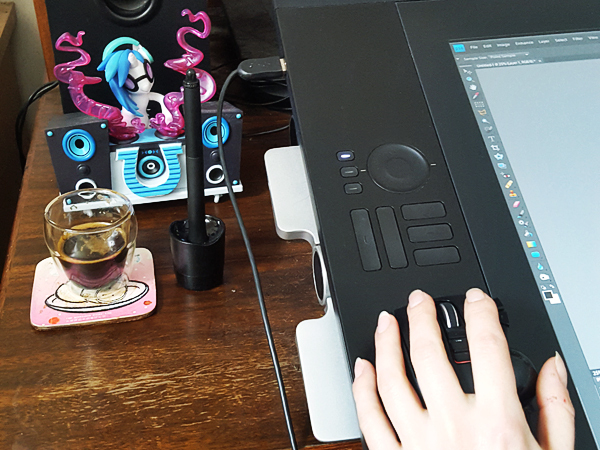 Re-calibrated the Cintiq for left hand use which made an unexpectedly noticeable difference? It seems like a trivial thing but I guess it takes into account which side either hand is likely to lean toward? 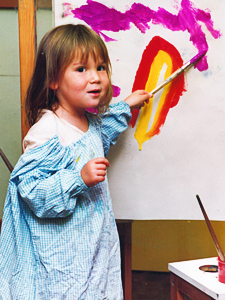 Look at this unindoctrinated left-handed child. 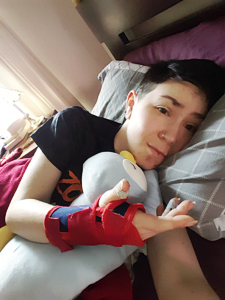 Unfortunately my right arm has not been improving despite my best efforts; reduced overall use, sleeping with a brace on, routinely following stretches and exercises as recommended by relevant medical professionals. People have been throwing around “carpal tunnel” since I first began experiencing pain and numbness back in… what… 2004? So I’ve just been kind of rolling with that, but after finally bringing the issue up with my GP who unsurprisingly suggested carpal tunnel syndrome and provided me with information on the condition, it has finally dawned on me that it is unlikely to be the sole culprit as much of the numbness is in the ring and pinkie fingers which should typically be unaffected by carpal tunnel issues. So I’ll need to follow up and ask about cubital tunnel syndrome, which, when paired with carpal tunnel, appears to cover all of the symptoms. It feels like personal failure. Of course, it’ll take me another 15 years to actually do that because it feels like if I took care of my body in the first place this wouldn’t have happened. If I didn’t use the computer every day. If I didn’t play videogames all night. 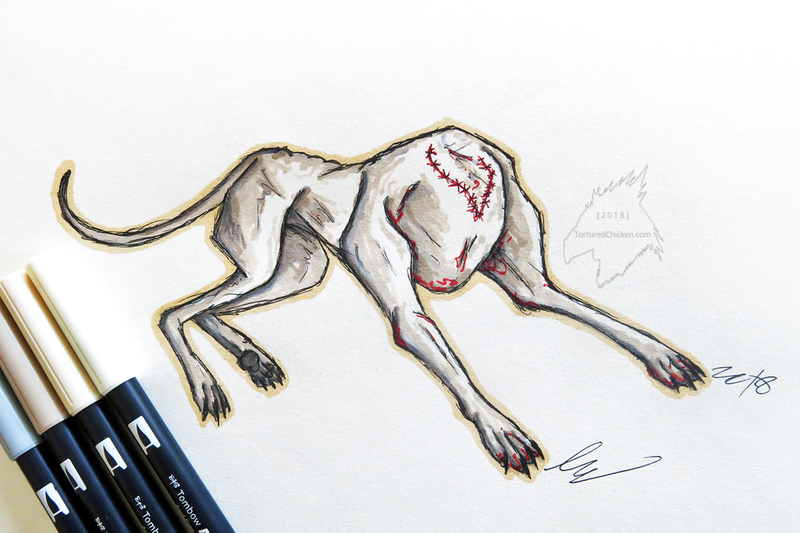 If I didn’t draw or write or sew. If I just went outside once in a while instead of being a nasty little gremlin. Never underestimate my ability to ignore pain on the grounds that it is a character flaw rather than an injury. A punishment for not taking better steps to prevent it from happening. When the left inevitably becomes as bad as the right it will be well deserved. 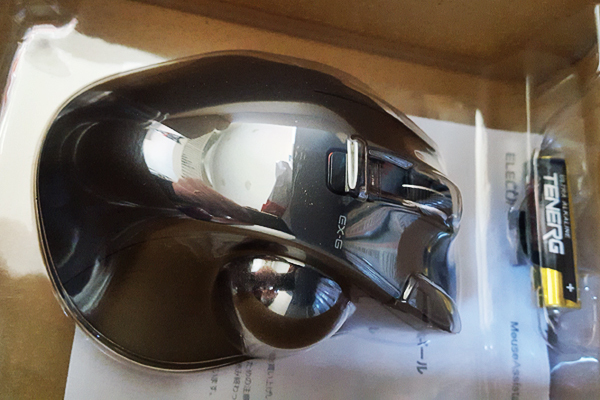 Evidently, Tech Support took pity somewhere during this ordeal and, knowing that the distress mouse alternatives cause to the general populace never ceases to delight me in these trying times, rustled up a left-handed track ball mouse for my birthday. Just when you thought the Logitech TrackMan Wheel was the worst thing on my desk. It’s an Elecom EX-G Wireless Trackball M-XT4DR Series and I genuinely cannot wait for this certified BadBoy™ to K.O. the next opponent who borrows my computer. 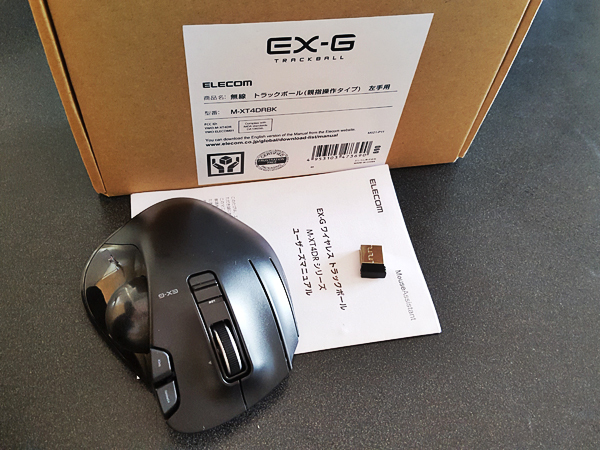 Thankfully I have basic Japanese reading comprehension, because this mouse does not appear to have been intended for an international market at all. 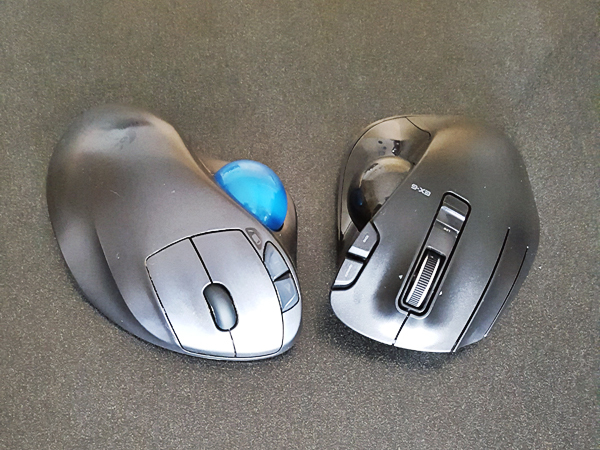 Honestly, I’d been hunting for a left-handed ergonomic trackball for years and it seems like Elecom is the only brand who has them. You guys hoarding a patent somewhere or is it just too niche of a market for anybody else to bother competing? The past 3 trackballs I’ve had were all Logitech, and the symmetrical style TrackMan Marble is why I specifically wanted an ergonomic left-handed model. That thing was about as kind to my arms as a standard mouse. The dimensions are quite similar to the Logitech I’d been using previously, so getting a handle for it was no trouble at all thanks to an improperly wired brain which is unable to consistently differentiate left from right anyway. The real learning curve was the fact that the buttons in the TrackMan Wheel died some years ago and I’m really not used to having an accurately responsive mouse anymore. A functional mouse? Truly this decadence will not go unpunished. An unrelated parting note, but: that stylus? Absolutely going to get dunked in the coffee. Yet I feel utterly powerless to stop it.